Screen-TIME is probably the world’s simplest methodology for activity analysis and time recording. 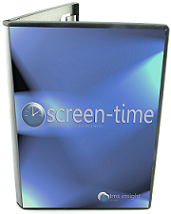 Screen-TIME is a sister product to our Clarity barcode based application which enables PC based time recording and data capture. Are your staff filling in time sheets manually? Are you wasting time and money to enter this information in a database? With Screen-TIME you can eliminate this headache and replace it with a simple and unobtrusive application that can capture this data in a few mouse clicks and feed it live to your Clarity database. It's that simple! And as a sister product to our Clarity application Screen-TIME features the same renowned flexibility meaning there is unlikely to be any data capture task Screen-TIME cannot accommodate. Screen-TIME is so easy to use that staff training can be achieved in a few minutes. It really is as simple as a mouse click. Be sure to check out our Clarity page to find out how Clarity and Screen-TIME can help you.